Start building an epic world of Hot Wheels® tracks with this Hot Wheels Track Builder Stunt Box or add on to an existing track set with new brick components to foster creativity and experimentation! Re-configure and customize with bricks and track pivot points for nearly endless configurations. This impressive kit is a great way to start your Track Builder collection! Many of the items in this kit have more than one use so kids can keep their imaginations and their tracks growing with a series of nearly endless configurations. Best of all, the storage bin is also part of your stunt and can be used to stunt with bricks, track and launcher or to hold all the components in the kit together for simple storage and easy portability. The Track Builder Stunt Box comes with 35+ pieces including a Hot Wheels® vehicle and bricks. Epic Hot Wheels® Track Builder Stunt Box with bricks offers endless options for cool stunts. Features an impressive 6 pieces of orange track, 16+ bricks, 2 curves, a launcher, multiple connectors and a Hot Wheels® vehicle! Multi-use pieces can be used in nearly endless combinations so the fun keeps building! The storage bin includes all the components for easy portability. The Stunt Box can be part of the build, too with multiple points to connect track. 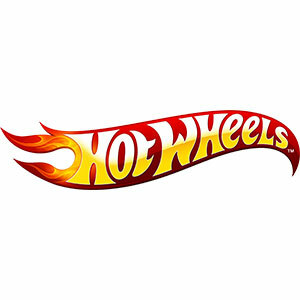 Includes one Hot Wheels® vehicle for instant racing fun! Enhance builds with household items like red cups, paper tubes, books and more.